This dashboard presentation template is ready for Microsoft PowerPoint 2010, 2013 and PowerPoint Online and it contains several slide including dashboard component designs that are relevant to Social Media and Digital Marketing topics. The first slide has a clean metro style with world map illustration and components that you can use to display the Key Performance Indicators. The right column is great to be used to display general notifications. The next slide has a design that looks like an Email client inbox. 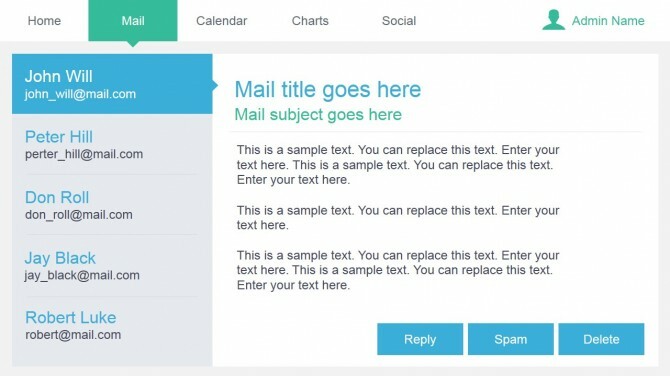 You can use this slide as a metaphor of incoming emails or messages coming to your organization or make a presentation showing a real email inbox with important messages. 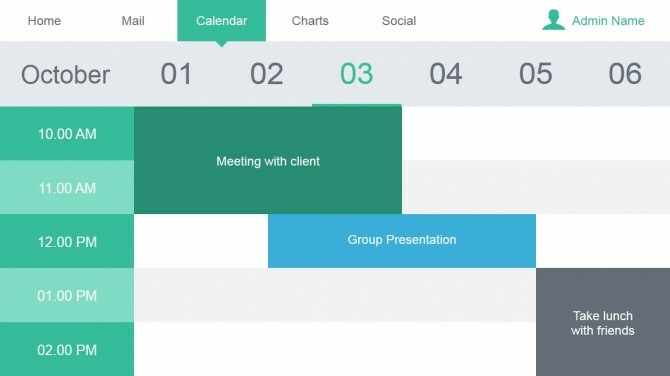 Calendar slides are also included in this presentation dashboard. The calendar design is good to present a planning slide or appointments. Using PowerPoint built-in shapes you can easily adapt the content to match any real project plan or schedule. Alternatively you can drag and drop the shapes inside the calendar and edit the text placeholders to convert this calendar to a simple Gantt Chart. Next, it is a simple but useful data dashboard slide with data-driven charts that you can use to present data to an audience. 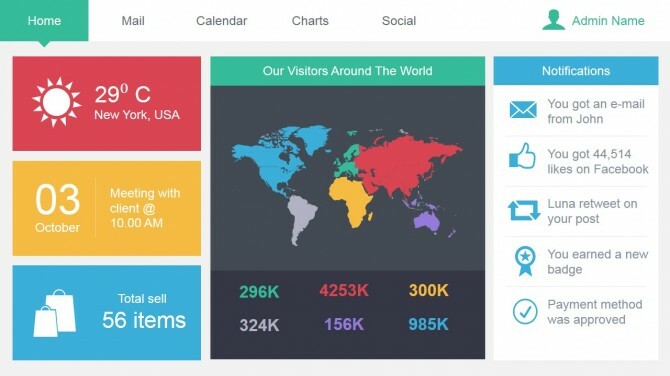 In this slide you can find a bar-chart design, line charts, donut charts and area charts. 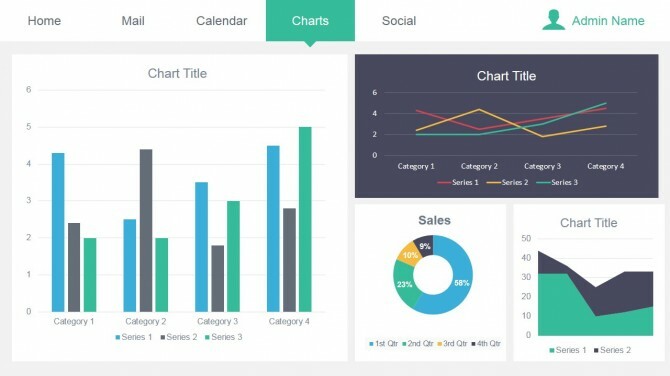 Easily you can replace any chart in the slide by any other data chart type. 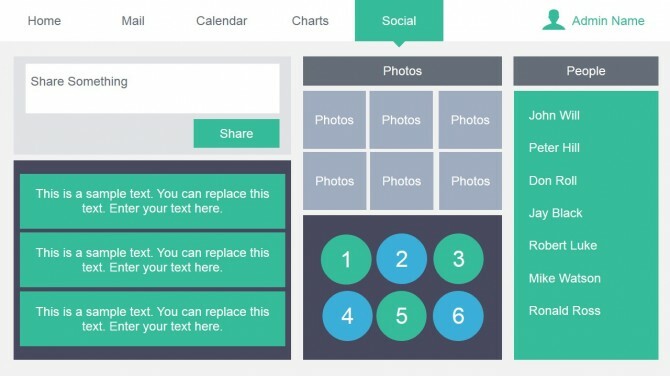 The following slides contains useful metro dashboard designs including flat components and photo placeholders that you can use to display small photos in your dashboard presentation. Finally, the last slides can be used as a data dashboard menu design. 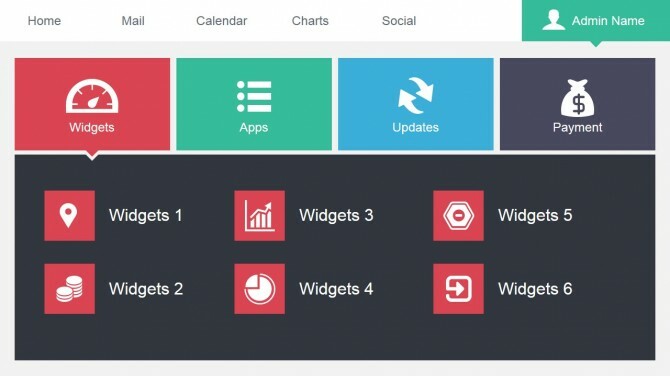 The last four slides belongs to a data dashboard menu with four top menu options including Widgets, Apps, Updates and Payment options. You can easily edit the slides and content by replacing the text inside the placeholders or use any other icons or vectors to make the slides relevant to your content. The Apps menu has green icons that represents company apps. 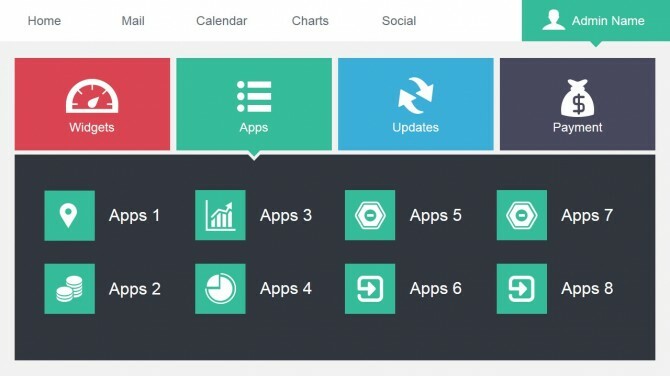 Updates menu slide let you simulate the application update progress that you can find in mobile devices. 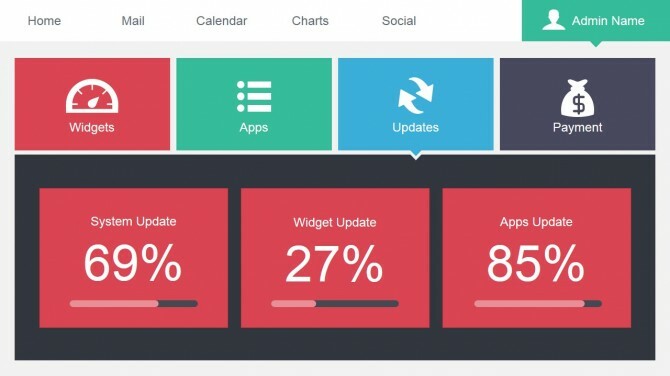 It contains three red widgets created as PowerPoint shapes that you can easily adjust to fit your presentation needs. 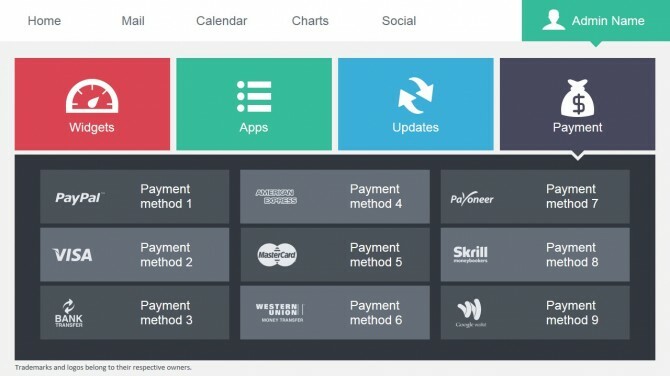 The last slide has data dashboard components relevant to payment options or payment methods. Here you can find icons for popular online payment options and credit cards, including PayPal, American Express, Payoneer, Visa, MasterCard, Skrill, Western Union, Google Wallet, etc. This Admin Dashboard PowerPoint template is ready for Microsoft PowerPoint 2007, 2010 and 2013 but you can still open it in PowerPoint 2011 for Mac or even in Keynote.